Above: Our family. L-R: my sister, Stavroula; our stepmother, Andromache; my brother, Georgios; our father, Andonios; and me. Our brother, Haralambos, had already migrated to Australia. 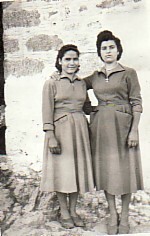 Above Right: With my sister, Stavroula (left). 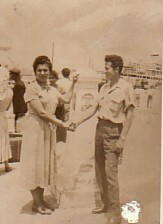 Above: Piraeus, 1955. Migrating to Australia, as I Farewell my cousin, Anestis Petrellos. 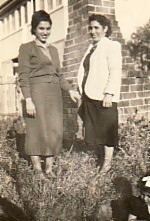 Above Middle: Wingham, north New South Wales. 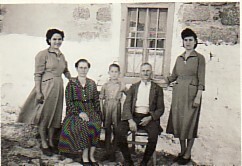 With Ioannis Psakis, who is holding Morfoula, and Miltos. Above Right: North New South Wales. 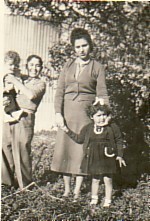 With horiani, Mary Kafes. 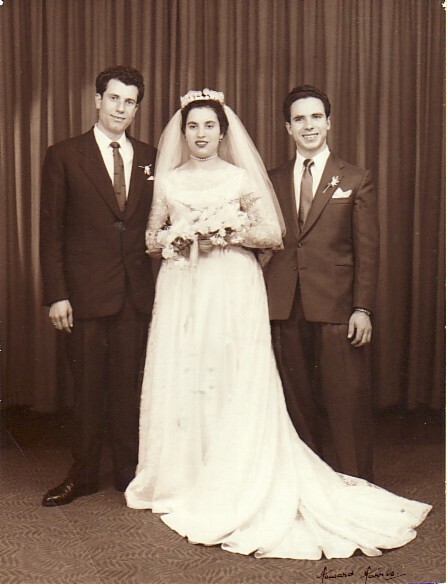 Above: With my husband, Georgios, and my brother, Haralambos (right). 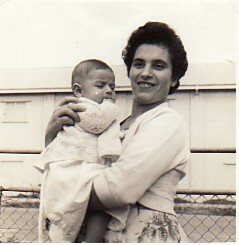 Above Right: With my son, Dimitrios.